Photo by Arthur Caranta and used here with Creative Commons license. Is the growing adoption of Artificial intelligence (AI) products by digital publishers a much-needed lifeline for a struggling industry, or the next deadly threat to its survival? Some worry that AI will eventually “take over” journalism, replacing skilled humans with soulless, data-scraping machines. But these three industry leaders are showing how innovative implementation of AI can free newsroom resources to focus on the vital journalistic tasks—like reporting and editing—that humans do best. The AP’s recently-released “Future of Augmented Journalism” report discusses the future of AI in the editorial ecosystem, and explains how publishers can incorporate the technology. They were also among the earliest adopters. In 2014, they partnered with Automated Insights — creators of Wordsmith, the world’s only public natural language generation platform — to mechanize the production of the publication’s quarterly earnings reports. Before incorporating AI for the quarterly earnings process, manual reporting generated only a couple hundred stories per quarter, leaving thousands of corporate earnings reports unwritten. Thanks to Wordsmith, the publisher recently cited a 12-fold increase in output on earnings stories. 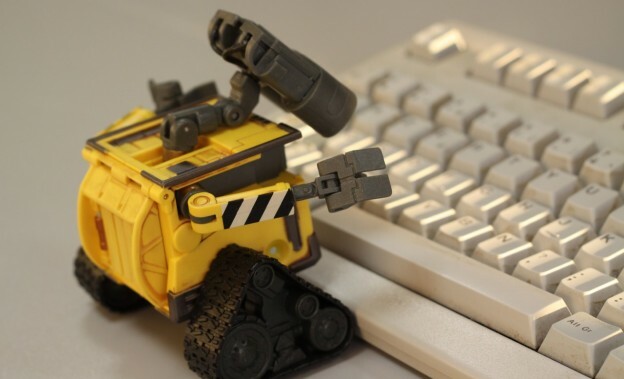 The Impact: When used the right way, artificial intelligence can help maximize output in newsrooms — especially as editorial teams are challenged with downsizing and smaller budgets. The AP, which often focuses on breaking news over longer feature-length content, has been a perfect use case. AI is helping them cover stories they haven’t been able to while optimizing their production. BuzzFeed is another big name that’s delved into the world of AI. For last year’s election, BuzzFeed’s Open Labs for Journalism developed a bot that gathered news from different sources at the Republican National Convention. The AI-powered aggregator followed the real-time election results and poll coverage, relieving reporters of doing it manually. The bot wasn’t created to replace reporters. Instead, it allowed them to focus their efforts on more complex and contextual stories that a machine learning solution couldn’t produce on its own. This allowed BuzzFeed’s editorial team to work on story components requiring investigative analysis that an AI program simply couldn’t replicate. The Impact: Using AI like BuzzFeed did during the 2016 election allows journalists to spend more time reporting, writing and investigating. It dramatically frees up resources so that longer-form journalism — and breaking, in-depth stories that drive links and eyeballs — can be developed. This goes well beyond simply maximizing output. USA Today recently added AI to their digital strategy, too. The newspaper’s sports department partnered with Wibbitz, a company that helps online publishers create short video summaries of articles they write. Wibbitz analyzes a story’s text and develops a summary that’s then turned into a voice-over accompanied by photos, graphics and more. The company says that, like the BuzzBot, Wibbitz wasn’t created to replace video and editorial teams. Instead, the purpose is to supplement them and act as an easy way to develop a video to go along with content written by a human. Ultimately, Wibbitz allows USA Today Sports to create the visual content their readers crave without having to use a lot of resources. The Impact: USA Today uses AI to create interactive content, which is becoming an integral part of online journalism. I see this as a new editorial category called dynamic editorial, which uses artificial intelligence to create visual and interactive content at scale. This type of editorial won’t just have a positive impact on news publishing in the future, it’ll be a necessity to compete for attention. Publishers are just now scratching the surface when it comes to the potential use of AI and machine learning. But these examples show us just how much potential AI can have long-term. The industry needs to stop seeing humans and AI as rivals, and instead embrace the synergies and palpable benefits that this technology can bring. Jessica Rovello is the CEO and co-founder of Arkadium, which provides interactive content to the world’s best-known brands and publishers, including CNN, Microsoft and USA Today. Arkadium’s technology draws from its library of 300+ mobile and online games and keeps readers on publishers’ sites an average of 15 minutes longer. At age 24, Jessica pioneered digital viral marketing by producing the website for The Blair Witch Project. Jessica is a graduate of Wellesley College. She resides in New York with her husband and their three children. My question is, with credibility and facts being a huge factor with journalism, will AI be able to fact check information. Also with it being able to gather video and photographs to go with articles, will it be able to know what is free to use and what is not? How much farther can these AI technologies be taken? The post states that AI, in these cases, are not meant to replace human beings. But in something like the news, is that really the worst thing? With all the bias, framing and manipulation of different news stations, wouldn’t a development like AI come in and completely crush all of that? Many make it seem like it’s a bad thing for AI to take over (it takes away purpose from human beings in many roles), but in something like the news, AI doesn’t seem all that bad. I think AI could take over most roles of journalists and reporters to create a new, futuristic version of the news which is 100% accurate. With AI, there is no room for mistakes, as it is algorithmic technology–this would make the news and everything contained in it impeccably reported, written and fact-checked. In my opinion, this would be a huge breakthrough for the news, and could help immensely to allow AI to take over some human roles. I believe that there will always be a demand for human roles in the news. But I think AI shouldn’t be held back for its capabilities.